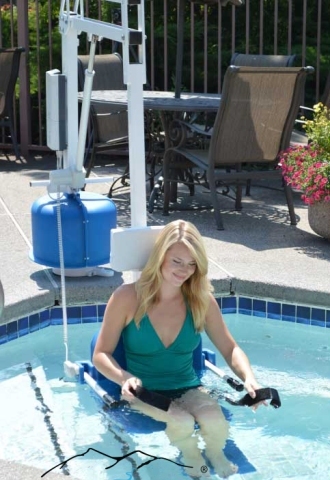 Aqua Hot Tubs are proud to sell Aqua Creek Disabled hoists for hot tubs and pools. Aqua Creek Products has been manufacturing high quality lifts for pools and hot tubs since 2002. With decades of combined experience, our staff are dedicated to helping you find the right solution to your pool and hot tub access needs. The American based company is well-known for our hot tub hoits, superior warranties, and outstanding customer service. Aqua Creek strives to bring affordable, reliable access to everyone. We currently offer several pool and hot tub lifts, allowing for a wide variety of access solutions. There are two categories. The Spa Lifts allow for the occupant to be lifted safely over the height of our hot tubs and swim spas and then lowered. The Pool Lifts cannot typically clear the height of a hot tub but are great for swimming pools and hot tubs/swim spas that are sunken. 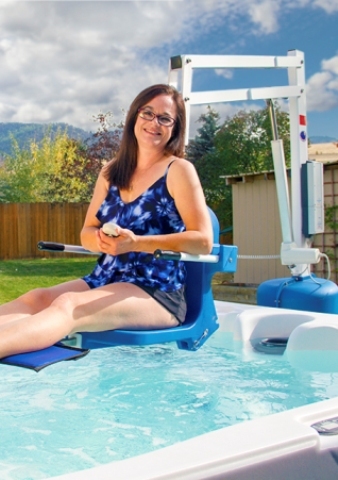 The Super Power EZ Lift is designed to give access into spa pools, hot tubs and swim spas. At an affordable price and will easily clear any wall or tub over 4 ft (1.2 m) high. 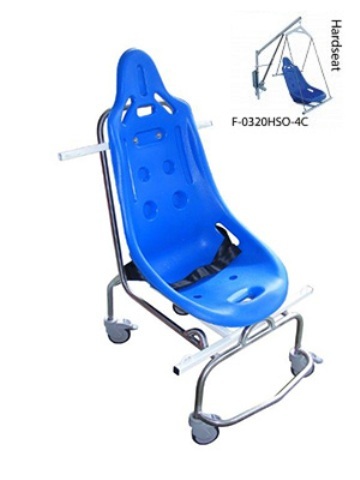 Designed for use with hot tubs, spas and swim-spas and supplied with a moulded seat with lapstrap and adjustable legrest. 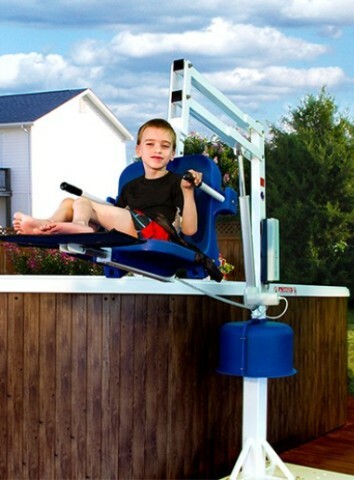 The Spa Elite lift can raise over a wall up to 68 inches (172 cm) high. The Spa Ultra Lift provides access into hot tubs, spas and swim-spas and is fully automatic so a user can retain their independence. Supplied with a moulded seat with lapstrap and adjustable leg rest, this Spa Ultra can raise over a wall up to 51 inches (129 cm) high. The Pro Pool Lift (now known as Admiral) has all the features of the Ranger Lift but offers a greater lifting capacity of 32 stones (204 kg). This lift is fully automatic so can be operated by the user, if able, to help retain their independence. 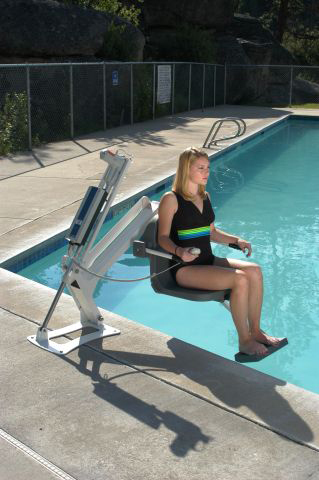 The EZ2 Pool Lift is an affordable, manually operated lift ideally suited for hotels, sports and leisure clubs and holiday centres. 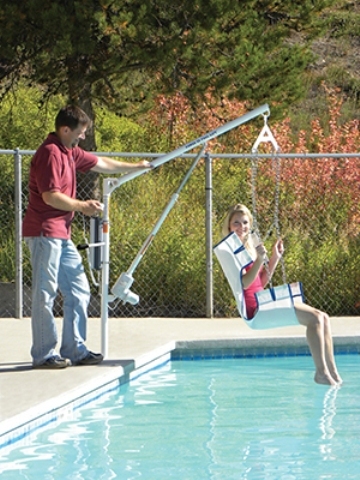 The lift is used for in-ground swimming pools and spas, and can also raise over a pool wall up to 15″ (38 cm). 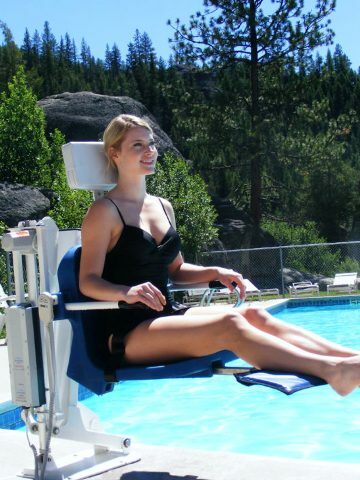 The Power EZ2™ Lift is a great choice for individuals needing to gain access to their pool or spa but don’t need a fully automatic unit. 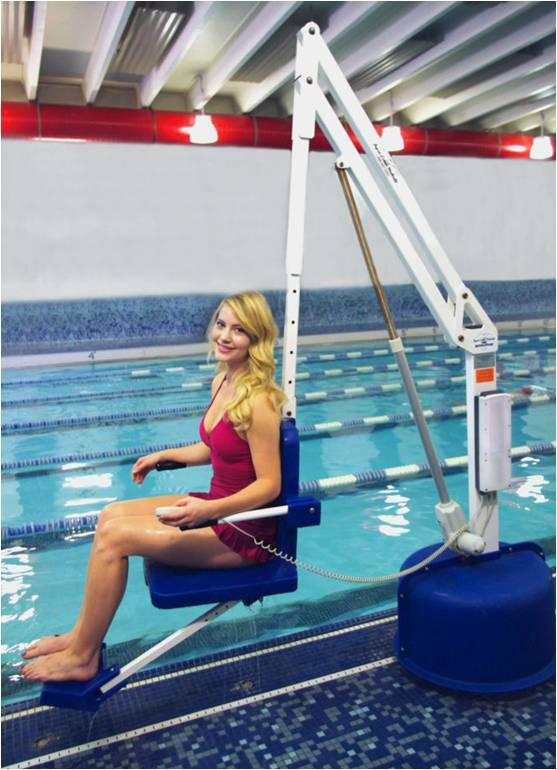 The lift can be used to clear a wall up to 24″ (60 cm) high and can be set back between 12″ – 20″ (30 cm – 50 cm) from the pool edge. 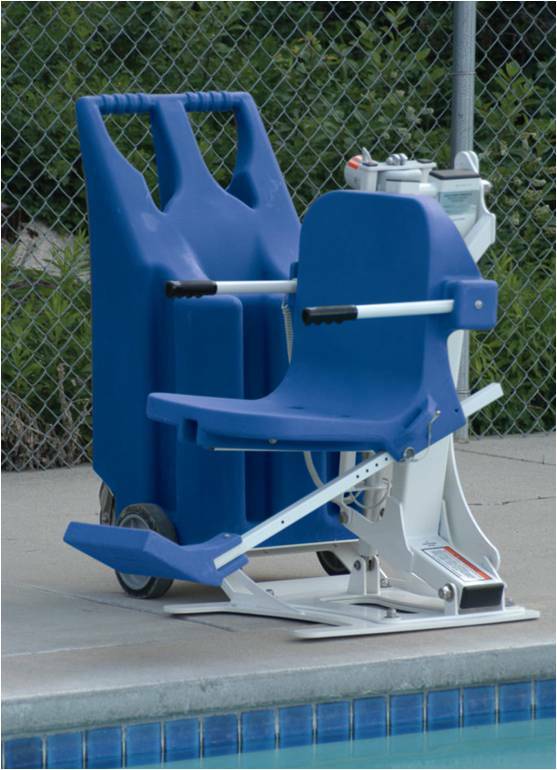 The Ranger Lift maintains our high standards of reliability and durability, and is similar to our Portable Pro Lift but is installed at poolside. 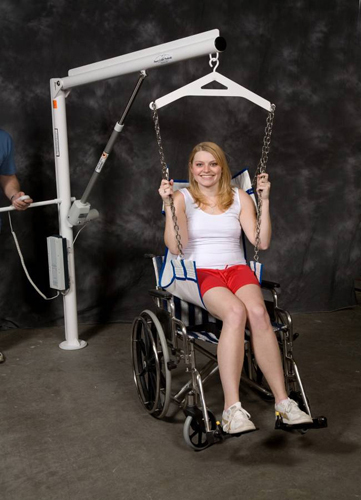 The Scout 2 Lift is fully automatic so a user could, if able, operate it themselves to retain their independence. This fully automatic lift is operated using a hand-held control and is able to raise, lower and rotate through 360°. All Lifts are made of powder-coated stainless steel for strength and durability and carry a 5-year structural warranty. They all have a certified lifting capacity of 28.5 stones (181 kg) unless otherwise stated and carry CE Certification. Delivery Time: EZ2 and Power EZ2 Lifts available from stock. Other models available within about 3-6 weeks from receipt of order. Drilling/Installation: Excluded. We offer a diamond drilling and installation service throughout the U.K and will be pleased to quote upon request. Prices: Valid from 1 January 2018. VAT charged extra. VAT zero-rated for export from U.K.
Prices remain subject to confirmation and to change without notice. Payment: Payment terms to be agreed.